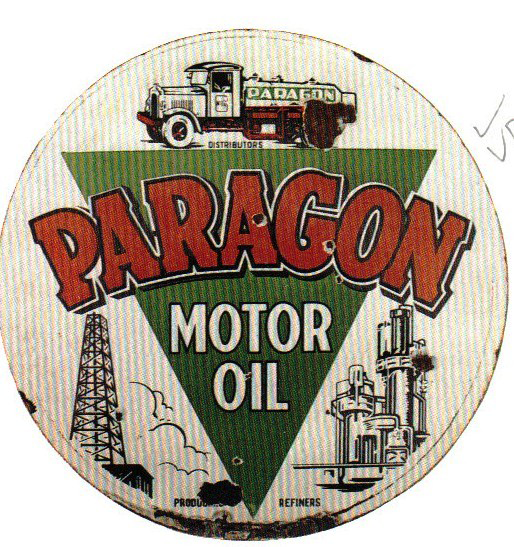 This is a round Paragon Motor Oil porcelain sign. This particular Paragon Motor Oil sign is predominantly black and white. It reads, “Paragon Distributors, Paragon Motor Oil, Producers, Refiners” and features red text against a green triangle surrounded by oil refinery equipment and trucks in the center.